I ran home from work yesterday at a steady pace. I left my van at work, cycled in this morning and then put the bike in the van for the return journey home tonight. I couldn’t do that when I had my motor bike. By the way I’ve sold my motor bike! It was sad to see it go in some ways but I didn’t fancy another winter of commuting to work in the cold and rain. October has been a ticking over month really after the Hardmoors 60. 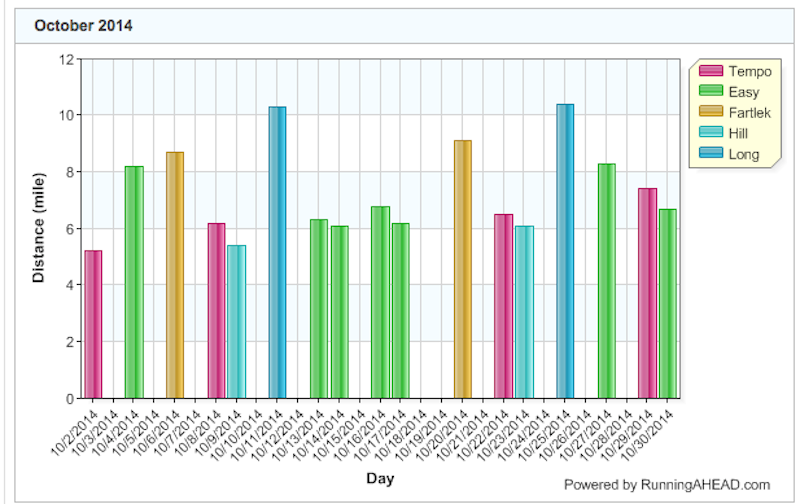 I have ran 123.72 miles which isn’t too bad and keeps me on track for my 2014 miles in 2014. 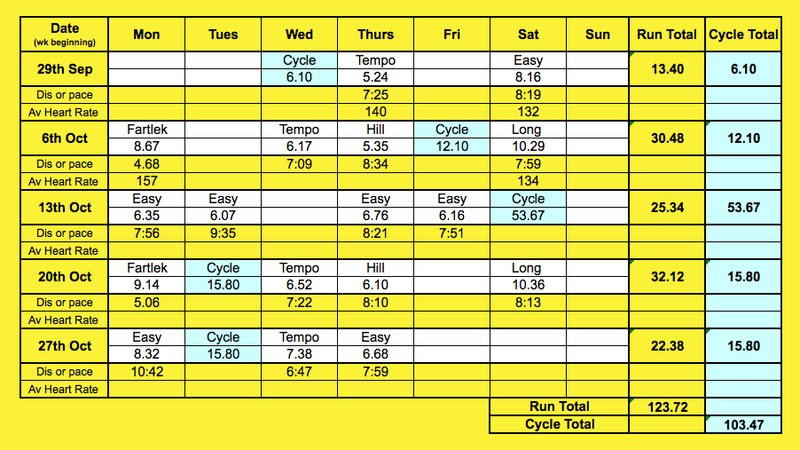 Here is a summary of all my runs and cycles …. 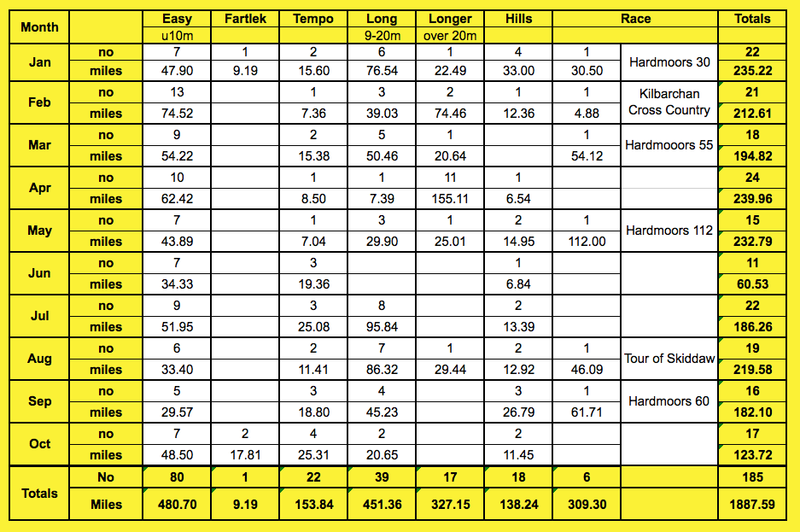 A more detailed one of all my runs …. Finally a summary of all the types of runs I’ve done so far this year …. I plan more of the same in November! I restarted the West Highland Way Race podcasts with an interview with Dave Troman where we chatted about our ultra races in 2014 and what we have learnt from our training and races. This entry was posted in review of October. Bookmark the permalink.